Le sas is a science-art-society group ready for research, design, making and diffusion of artistic and scientific artworks. It's a connecting zone (a 'sas', in french) between science and art, between research and society, between imagination and its realization. On the 20th Zacharias participated in one event of the "Le Sas" group and presented a mirror within the scientific artwork. 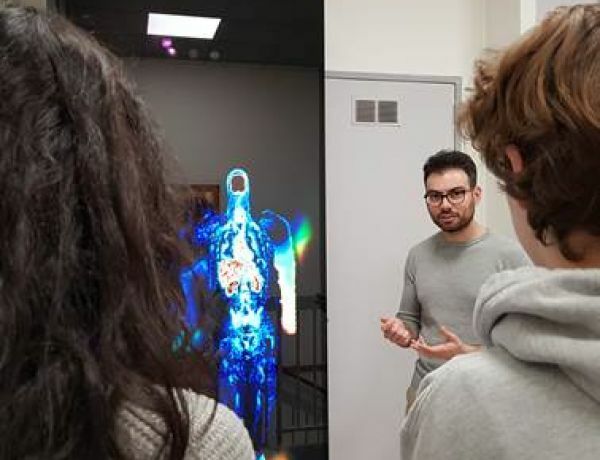 "Primary Intimacy of being" to high-school students and talked about the different imaging modalities, about their impressions of the mirror and discussed their questions with them. The 2018 Congress of the European Association of Nuclear Medicine (EANM) was an opportunity to update the latest advances in nuclear medicine, to inspire ideas, debate over the future and to promote collaborations. 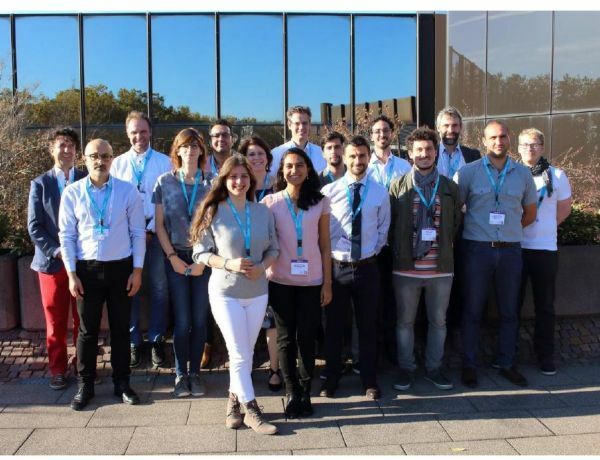 An account from the PhD candidates in the HYBRID consortium.